An unforgettable quote from the classic American movie Ferris Bueller’s Day Off. Life does move pretty fast, and maybe even faster in Tokyo! The crowds continue to walk, trains come and go every two minutes. An entire bullet train is cleaned in about 10 minutes or less before its next batch of passengers board. If that’s not fast, then I don’t know what is! But sometimes, even during busy travels, you have to stop, look, and listen, or else you could miss it! Miss what? Japan’s Tokyo Night Street Lives! 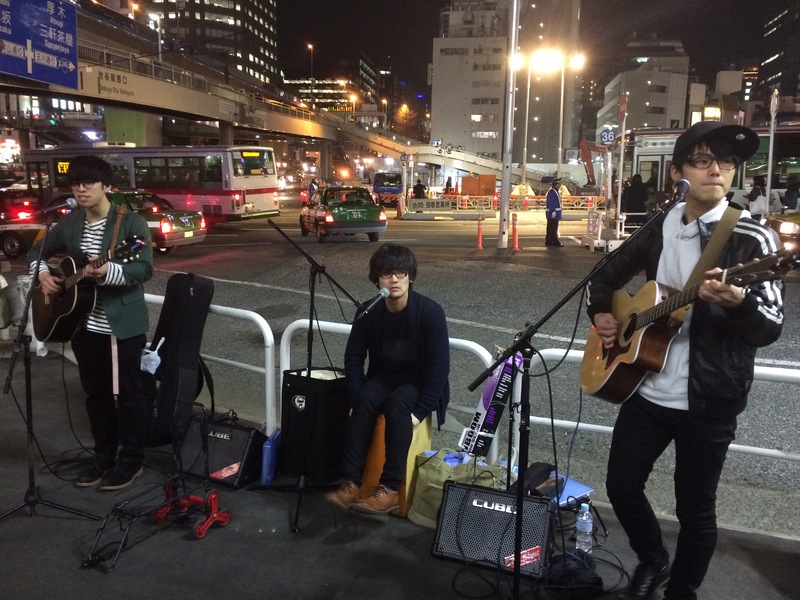 No, this isn’t an "official" thing, but around the time the sun sets, a generous amount of aspiring musicians come out to play on Tokyo’s streets! A majority of them play directly outside a station exit, or nearby. 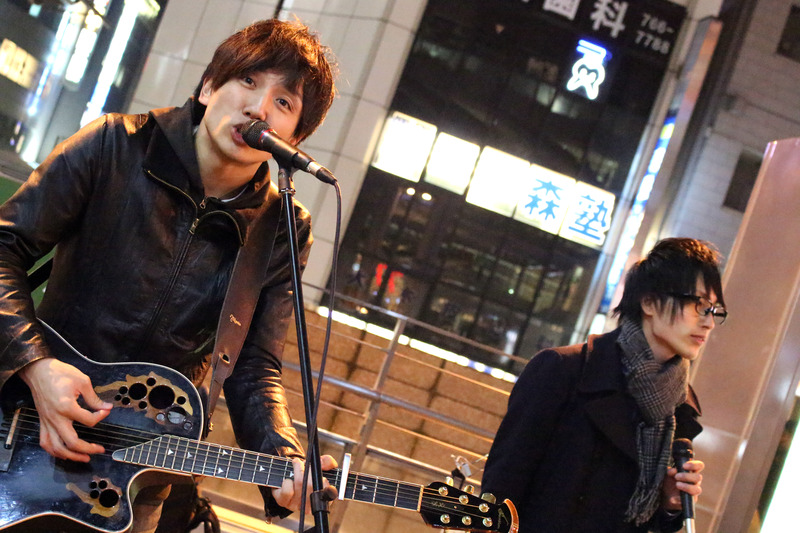 Musicians normally come out to play at more popular areas in Tokyo, like Shibuya or Shinjuku. If you’re a little further out from the main city, listen carefully! Some musicians go out of their way to share their music for those who can’t come to the city too! Plus, it’s not only musicians who come out to share their talents. I’ve met magicians, artists, and even a cool guy who plays the ukulele and sings the lyrics by quacking. Yes, quacking. 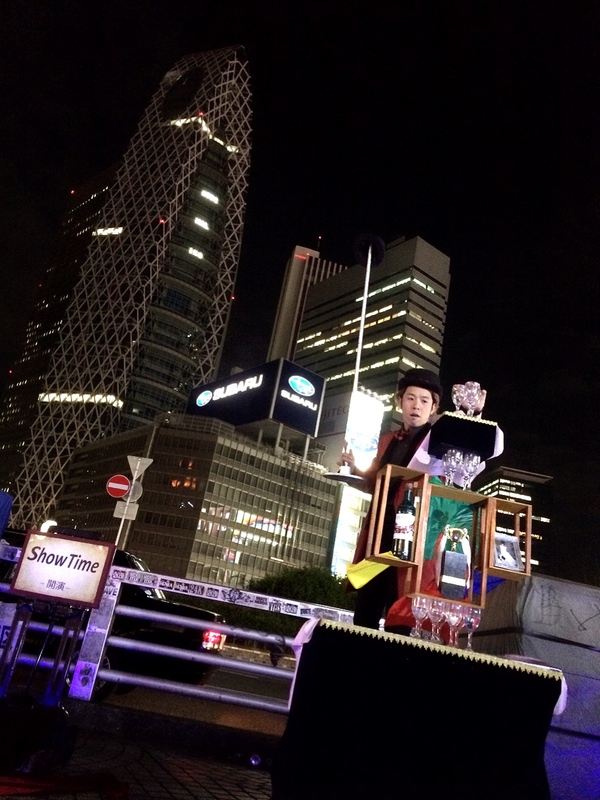 Shinjuku Show Time: Magician Yoshida as he stacks up props for his next magic trick! 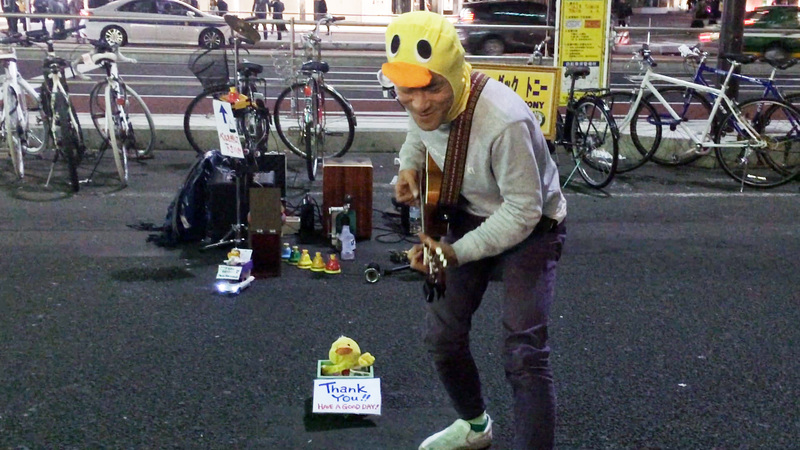 Starduck Tony @ Shinjuku, rocking and quacking for those who take the time to watch! Now, with Tokyo being as fast as it is, these guys are grateful for anyone who stops by, either for 1 song, or you know, all of the songs (like me, haha!). They all work hard to share what they love! In the winter I’ve seen some musicians laugh when they can’t play the guitar because it’s too cold, and even ukulele quacking guy (his name is Star Duck Tony, by the way), quacks his best even though he says it’s “too cold for a duck to be outside”. Stay a while, chat and laugh, and maybe share a twitter account (most of the musicians I’ve met share their work through twitter). You might be able to find out if the musician will have a concert or event during your trip. You could also make some new friends with people already in their fanbase! Don’t miss it! Take the time to appreciate Tokyo night street lives: great music, new friends, fun experiences, and more. The best part, it’s free! Read special interviews about how the singers themselves feel about street lives! A Singer’s Voice: Tokyo Street Lives 102! !